Thank you to S Bradbury for the use of the original photograph. Plenty still to do, but I’m starting to get there! 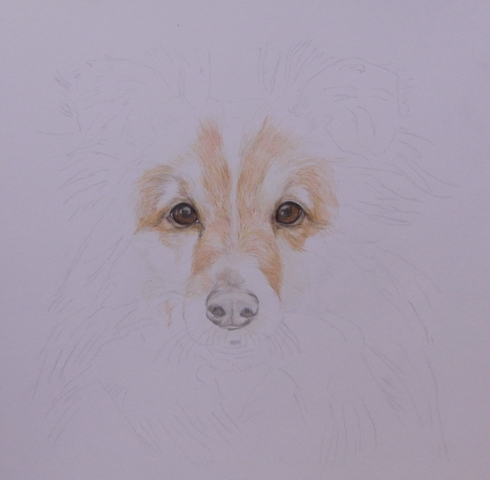 Obviously the chest, mouth, nose and more work on the right and generally darken up especially in the shadow areas. 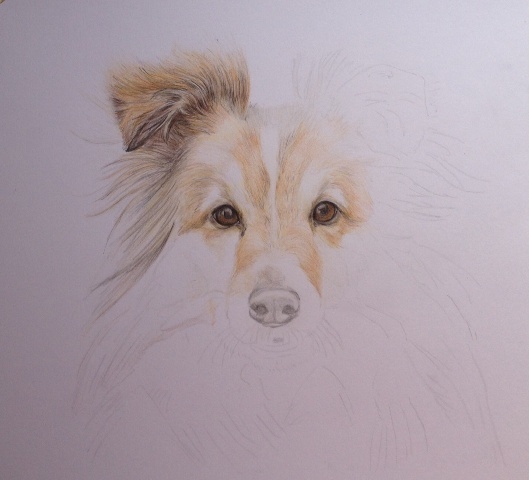 Still working on the ear of my latest drawing, gradually making it darker. I always lean on a piece of tissue, so as not to leave any greasy marks on the paper. 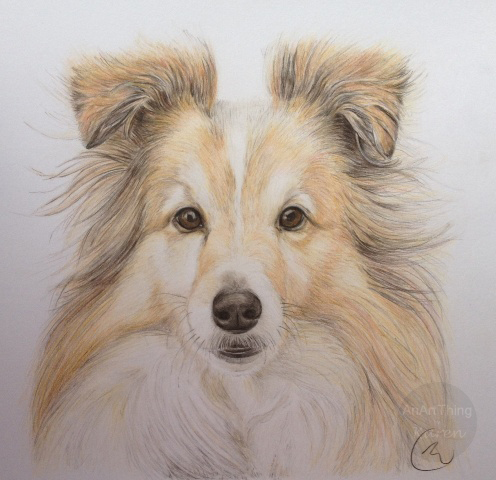 The large soft paintbrush is to brush away any pencil ‘dust’ and eraser bits that may be left on the paper, as this can sometimes make unwanted marks when I go over with the coloured pencil – so it keeps my paper nice and clean. 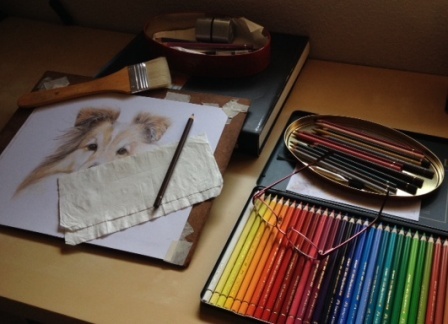 An old chocolate box is perfect for those extra loose Polychromos and pencil sharpener. 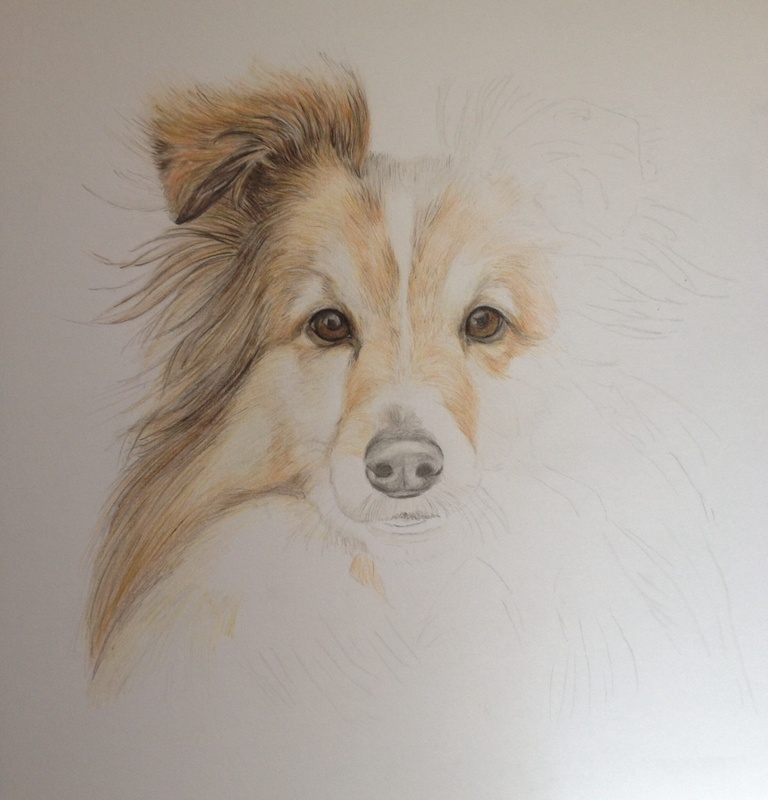 After a short break away from my pencils, here are two work in progress shots of my latest drawing of a lovely dog, Gem. In the first – I aways start with the eyes and work my way outwards. 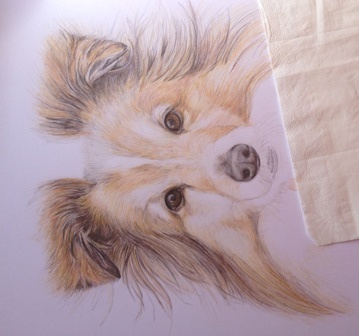 In the second picture I am still working on the ear and then will gradually move down the left, before going onto the nose.